First order of business... I was lucky to guest blog for Jess at Polka Dots, Pearls, and Pink...OH MY! today. If you traveled on over from there, you'll have to forgive me for not properly introducing myself (thankfully Jess jazzed it up for me) as I am a newbie to the blogosphere. My name is Lindsay, I live in Connecticut, work and play in Manhattan, love Martha's Vineyard (hence the origin of Vineyard Loveknots) and have lots common with JMB. 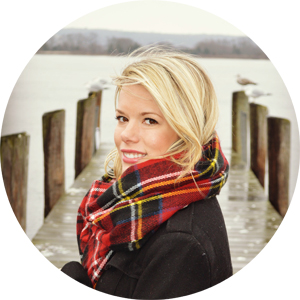 She quickly became a blogging BFF, and "ya'll" know why. Thanks for stopping over! 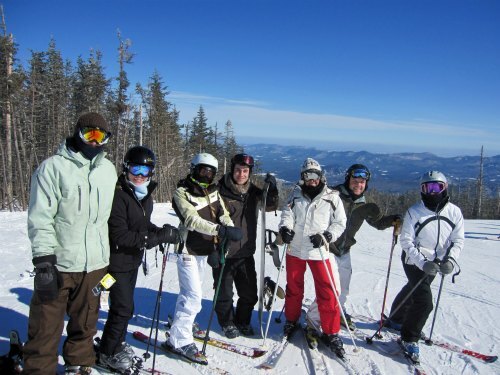 We were missing one for the group photo... when we found him he had a broken binding... eek! I was pushed to try harder trails... and thankfully I made it down alive. 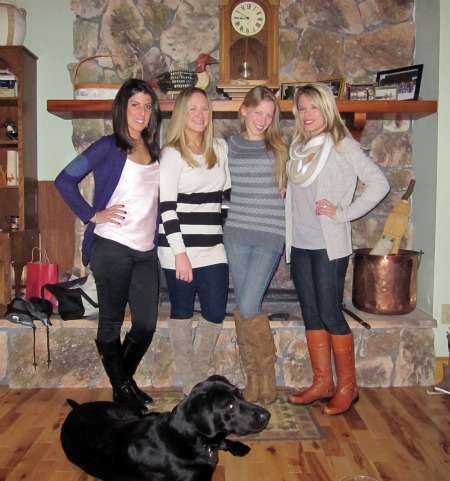 The ladies of the trip plus my friend Matt's lab Whistler pre-dinner. We dined at Lisa G's, an American restaurant a little off the main strip of the village. I loved the local feel and the quirky menu. "Daily Burger: Always, everyday, there’s something different. Ask your server and then they’ll go ask the kitchen or yell to the bar and then come back and tell you what it is." Best of all, we had an awesome server who not only put up with our rowdy group but made amazing menu suggestions. Two of us opted for dirty "spicy" martinis with jalapeño stuffed olives - deeeeeelicious! 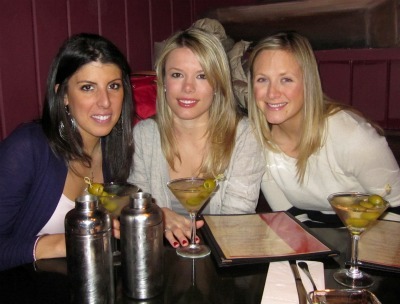 I can thank these girls for getting me hooked on dirty martinis. 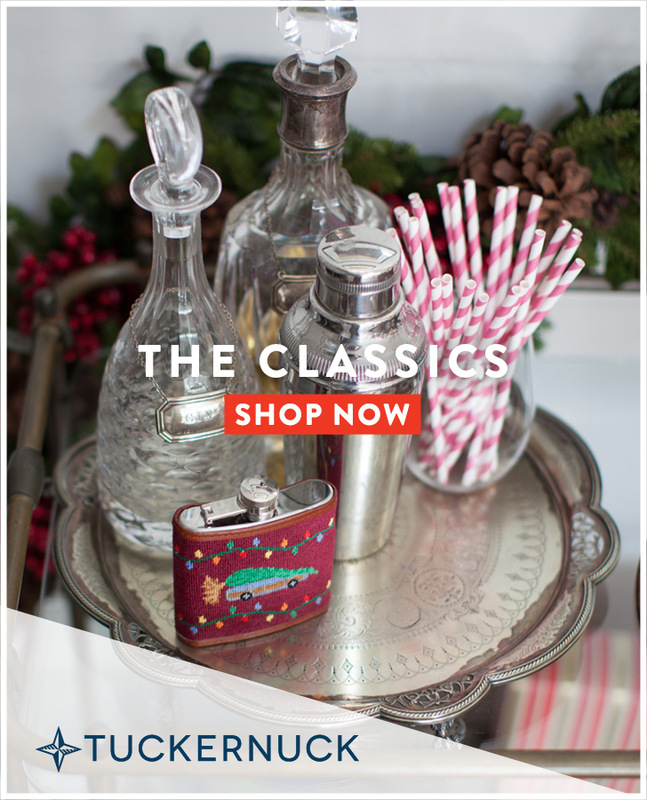 I hated olives growing up, but felt so left out when they were all "classy" with their signature cocktail. Taste acquired! 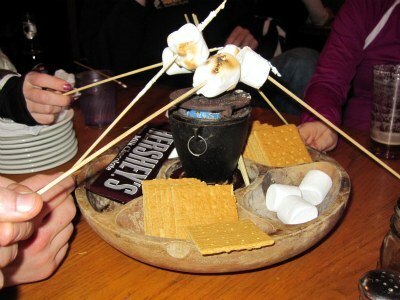 The server kindly asked us to stop setting the sticks on fire after we devoured our dessert. 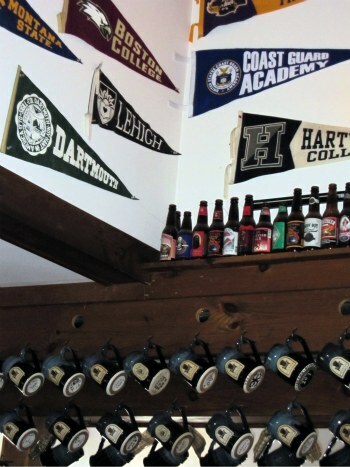 Found our alma mater, Lehigh University, up on the wall! We were definitely the big kids there. A view from the top - not for anyone afraid of heights. Sadly we saw some youngsters cry. 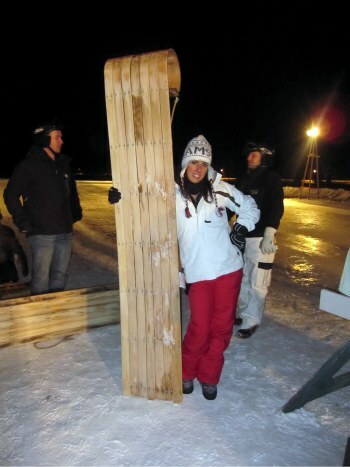 We went straight from skiing, to the brewery, to tobogganing, back to the brewery. I wasn't leaving until I had a sandwich from Simply Gourmet, no matter how long it would take. (I think it was about 25 minutes.) 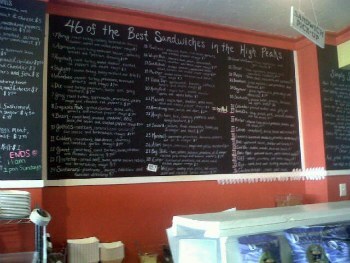 Known for their "46 Sandwiches named after the 46 highest peaks in the Adirondacks" and homemade breads. Overpriced deli sandwiches are a weakness of mine. Can't thank my friend Matt enough for planning this trip for us. We always have such a great time at his place! I am blessed to have fabulous friends to share these experiences with. Looks like so much ! 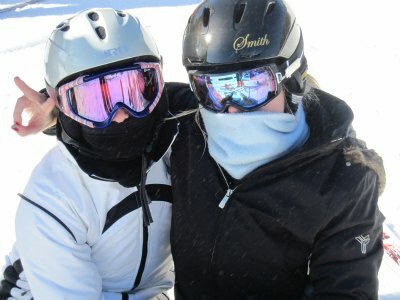 I now want to go snowboarding! 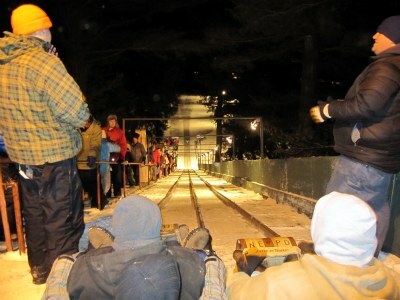 That toboggan looks both awesome and terrifying. I'd probably be one of the kids crying..
Hey girl! I stopped over from Jess' blog and loved your blog so much that guess who's now your newest follower? Yep, yours truly! Love all of your photos.. girly, you're gor-geous!! 2. I want those boots in pic #1 but unfortunately I am on spending lockdown LOCKdown after buying Daisy Girl some new legs. 3. The view from the top of that slide made me lose my bell-ay!! I would have needed some extra drawers! REMEMBER I told you to pack some hahahahaha. 4. Thank you for blogging today for me!! And thank you for being such a great girlfriend already child! 5. Get to work. Comment later. Love love love your blog! SO happy I found it! Hope you follow my blog as well! Stop by and leave a comment!